Straight from the midnight sky, this deep purple long-wear nail polish sets the stage for an unforgettable show. Size * 15 mL – 0.5 Fl. Oz. A color as radiant as one of nature's most spectacular marvels. Your shimmer will stand apart, no matter if you're under the sun or the stars. OPI Shade Story | Turn On The Northern Lights! 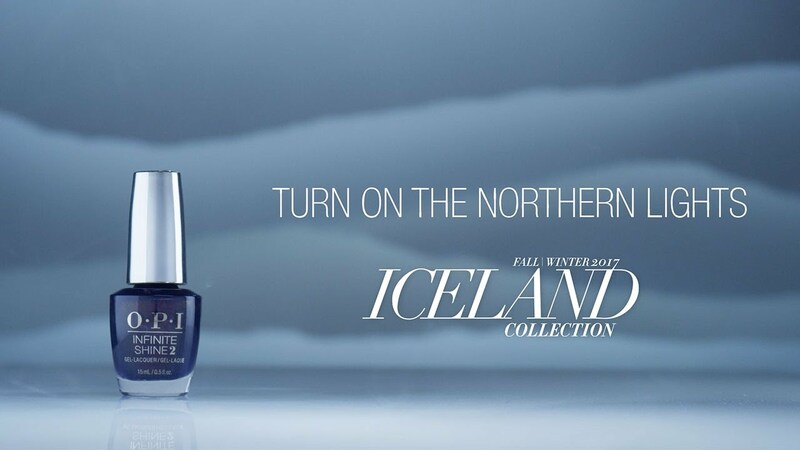 Discover the exquisite country of Iceland with OPI's newest collection for Fall 2017, available in our original lacquer, Infinite Shine, and GelColor.